​ It's been said, "You don't start your writing career with a novel. Start small." I don't necessarily believe that, now or then, and back in 1989, there was no one to tell me I couldn't. I threw myself into a full-length horror tale, knocking it out on an electric typewriter at a 60's era kitchen table with a cracked formica top. I was proud of it. It was about as bad as a first novel gets. No one wanted it, and when I'm courageous enough to peek at it these days, I don't blame them. Short stories came next, a dozen churned out with clueless abandon. Check the rough draft for spelling errors and call it good. Make copies and stuff manilla envelopes. Spend money you don't have on postage, send to publishers and wait for New York to call. No one wanted them, either, but I collected an impressive pile of rejection letters. Another novel, science fiction this time, and better than the first. So my friends and family told me. Landed an agent! One I had to pay up front, and who never called. Who knew? There was no internet to offer advice. New York wasn't calling, either. What do you do about a sci-fi novel which isn't selling? Well, you write an even bigger sequel, of course. One which no one will want. Another story sold, this one for $20, and I was crushed when the mag went belly-up before publication. And yet... someone had actually given me money for something I had written. I was doomed. Novel number four was born, a futuristic tale with a samurai flavor, and much better than my three previous attempts. Not enough for anyone to print - seeing a pattern here? - but better. More short stories, and more rejection slips. Years passed, my work was unwanted, and my dreams of becoming a writer were sinking. And all the while I failed to realize that I was a writer. I was writing, putting my work out there, getting knocked down and writing more. I was learning. This was all pre-internet, pre-self publishing, and I'll be forever grateful for that. There is no question I would have pushed all those ill-crafted words onto the e-market, simply to get some small validation and satisfaction. Today they would be like dead animals forever hanging around my neck. Instead, the novels went into their boxes, and into the sea chest I'd inherited from my father. They remain there today. I took a sabbatical from the keyboard... Alright, I got frustrated and quit, for nearly twelve years. The words called me back, though, the stories chasing around in my head, needing to be told. I unearthed some of those short stories and put them through brutal rewrites, started submitting again. A few were accepted, both in print and online. I began crafting more, dreaming up new short tales, starting to see a bit of success (the "we're not paying you but we'll print it" kind of success.) Again, I was learning, sharpening, taking more time. A screenplay was born, co-written with a dear friend. It's waiting patiently, not in a trunk, but for me to have enough courage to put it out there and risk Hollywood rejection. I assembled short stories into collections, self-published, experienced pathetic sales, but sales nonetheless. Still growing my craft, still building my courage. Then I wrote Omega Days. It became an Amazon horror Bestseller within days of publication. I'm doomed. Any tips I have to offer are likely nothing you haven't heard before. I did, and finally started listening. * Write as often as you can. Make sacrifices...the game, a movie, an evening of loafing, time at the bar during business travel. Give it to your story. Novels do not write themselves. * Rewrite. It's not as good as you think it is, which you will quickly see when you go through your story again. And again...and again. Walk away from it for a few days, and then go through it once more. You'll find things you want to change. It's worth it. * Edit. Grammar, spelling, punctuation, word choice, typos...they all count, and poor editing is the number one complaint from readers of self-published work. I know you want to get your masterpiece to market, but take the time to polish it. Your readers will appreciate it, and they'll buy your next masterpiece. I am by no means perfect in this area, and even after four rewrites and three rounds of editing, have had small errors slip through to publication. It's maddening, and don't think for a second your readers won't call you on it. * Write what makes you happy. If it's a commercial success, all the better. This craft is a taskmaster with little mercy, a selfish, consuming compulsion demanding all your time and then crying out for more. It can be isolating and lonely, and your only salvation is if you love what you're doing. * Believe in yourself, and in your story. Most people won't, so you'll have to be strong and take up the slack. And when you do experience success, great or small, the victory will be all the sweeter because you knew you could do it all along. 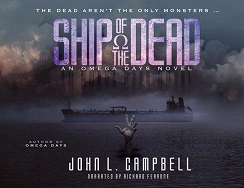 Campbell is the author of the Omega Days novels from Berkley/Penguin USA, including Omega Days, Ship of the Dead, Drifters, Crossbones and The Feral Road. 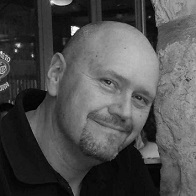 His short fiction has appeared in numerous anthologies, literary magazines and e-zines. He has lived all over the U.S., and has worked as everything from a limo driver to professional investigator and executive. 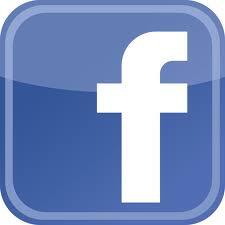 He currently resides with his family in the New York area, where he is at work on his next novel. When the end came, it came quickly. 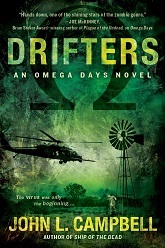 No one knew where or exactly when the Omega Virus started, but soon it was everywhere. And when the ones spreading it can't die, no one stands a chance of surviving. Within weeks, the world is overrun by the walking dead. Only the quick and the smart, the strong and the determined, will survive - for now. 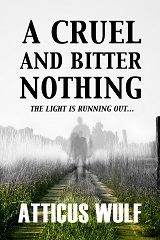 "Well written...interesting characters and plenty of suspense. You can't go wrong with that." "Campbell has created the quintessential zombie series...this is the novel zombie aficionados have been craving!" "A master at putting a new spin on the classics...there are creepy echoes of King and Koontz." 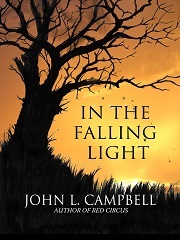 "Campbell delivers an ambitious and very readable zombie novel." "Campbell builds a mood of terror that sweeps the reader along in this powerful example of the zombie thriller at its best." "Character development was superb...vividly described in detail." 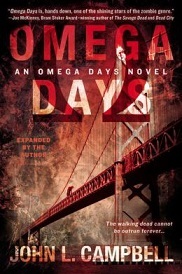 "Omega Days is, hands down, one of the shining stars of the zombie genre." 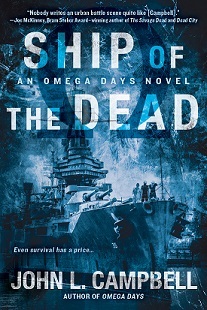 "Voted Top 10 Best of 2013"
As the numbers of the dead swell, the living are running out of safe havens—especially when the biggest threats lie within their own ranks. "The suspense is non-stop... Campbell has a talent for writing thrilling urban horror... This is every zombie lover's ideal series." 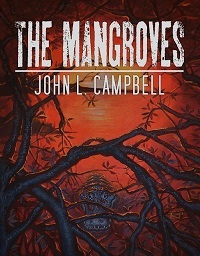 "Frequent and chilling zombie encounters highlight both Campbell's competence in presenting horrific gore and his insistence that dedication to humanity is also the strongest definition of faith." "Horrific gore...edge of your seat breath-holding moments...tragedy, action, suspense and...the probing of the human psyche." "If you're craving some explosive action, this is the book - and series - to pick up." "Absolutely a no-holds-barred, teeth-gritting, white-knuckle experience." 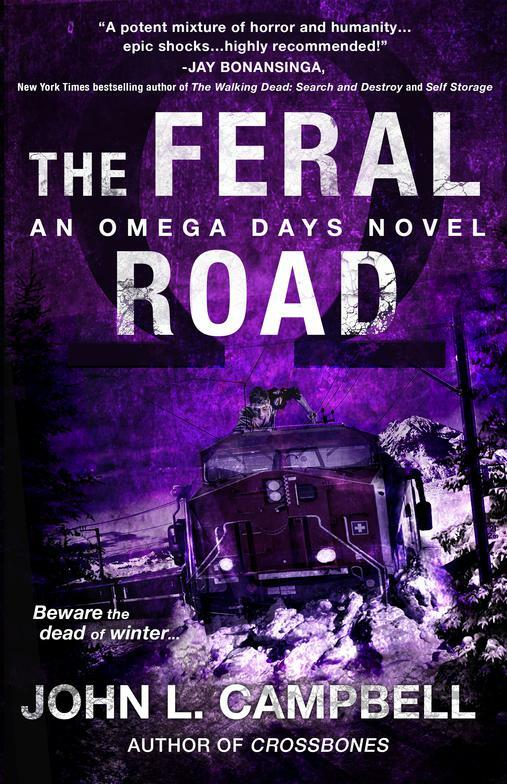 "Campbell is a master...will keep readers coming back for more of the Omega Days series." "Campbell has proven himself a force to be reckoned with in modern zombie apocalypse tales." "This author really excels at setting the scene." "Read this...at night, turn off the lights, and prepare to be FREAKED out!" "Character development in the midst of a zombie tale as old as time." "Suspense and ultimate thrills! This novel will leave you chomping at your fingernails and cringing in anticipation." "Top 5 pick of 2015"
Sorry for the radio silence everyone. I'm recovering from an intense 2017, and setting my sights on the new year. Currently I'm deep in my writing cave, hammering away on several projects, first and foremost among them; Book Six of the Omega Days series.​ This year it will be fewer conventions and more writing. See you when I surface. 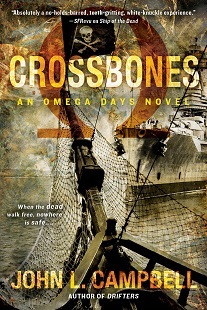 Skye Dennison returns in this latest installment of the apocalyptic Omega Days novels! ​"A potent mixture of horror and humanity, Campbell's latest in this harrowing epic shocks and breaks hearts in equal measures. Required reading for both lovers of deep scares and deep emotions. Highly recommended!" Deep in an Indonesian jungle, a careless tourist releases an ancient evils that has lain dormant for centuries. Appearing as a virus, completely without symptoms and seemingly benign, Trident quickly infects the world's population. Silently it waits, counting down to the moment when it will reveal its true, terrifying nature. When the evil suddenly unleashes its horrible power at an Ohio political rally, transforming unsuspecting people into merciless killers driven to feed, American President Garrison Fox must flee from an infected Secret Service that has turned on him. As the nation is plunged into chaos and savagery, Fox races east toward a secure mountain bunker, fighting to find a way to save his family, his country and himself...if it's not already too late. A NEW, STAND-ALONE APOCALYPTIC THRILLER!